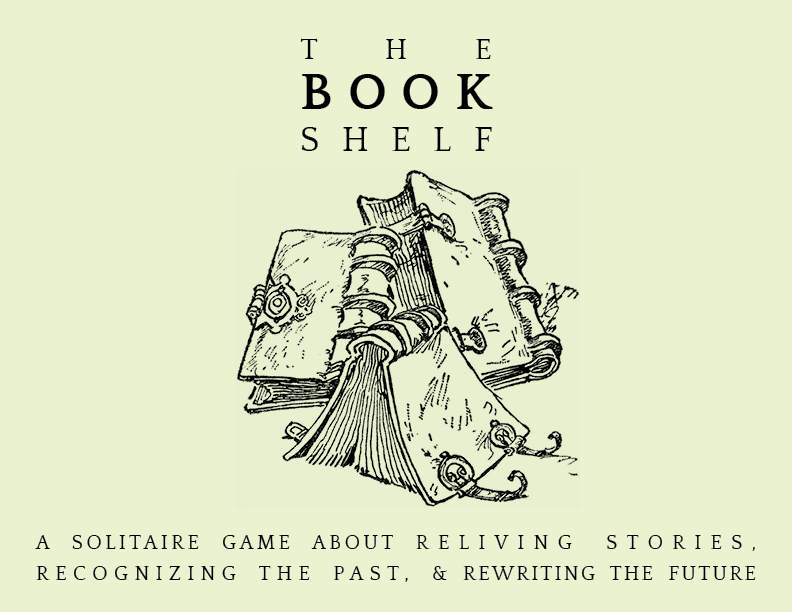 The Bookshelf is a game about taking the time to organize your books, remember their value, and rewrite a story based on the stories you have already created. If you have toys, photos, or magazines, you think about different merits and continue the narrative. At the end of your bookshelf you can choose to write another part of the story, put your writing aside, or pass The Bookshelf --and your own story--along to a friend. Perhaps they will add to your story or write a new one themselves. The demos are all you need to play, and they are available for free. 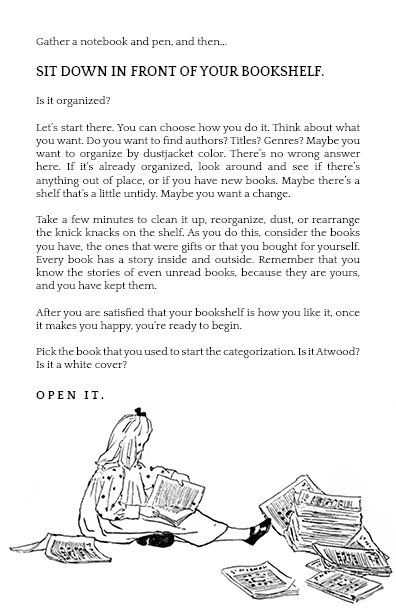 The pretty $2.00 version is a one-page mini zine, and you see it in the screenshots to the side. Message & follow me at @_linfinn if price is an issue, and you'll receive the game, no questions asked. This game was created by Linda H. Codega for Short Rest, the #CozyGameJam. 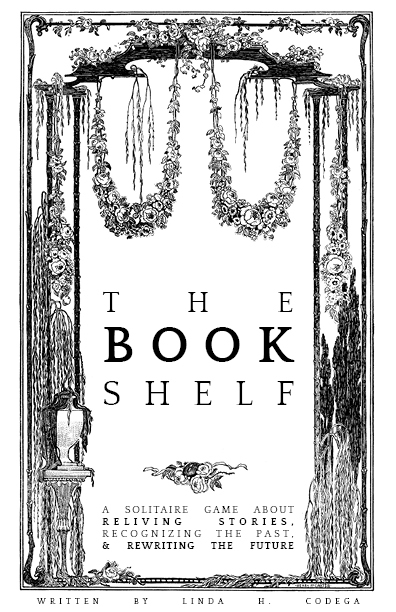 All interior images are from Clip Art Etc. Books have always been important to me, and have always helped me to cope with tough times and stressful situations. I hope that this game allows other people to remember why they're keeping all those old editions around.